A record high level of beta rays released from radioactive strontium-90 has been detected at the crippled Fukushima nuclear power plant beneath the No. 2 reactor's well facing the ocean, according to the facility’s operator. 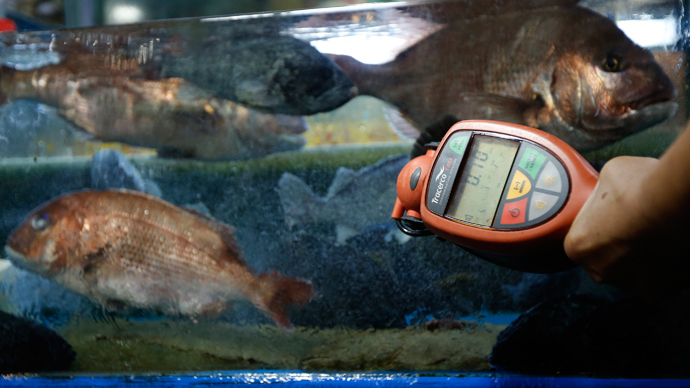 Tokyo Electric Power Company (TEPCO) measured the amount of beta ray-emitting radioactivity at more than 2.7 million becquerels per liter, Fukushima’s operator said as reported in Japanese media. The measurements were taken on Thursday. There has been a spike of radiation in this area since the beginning of the year. 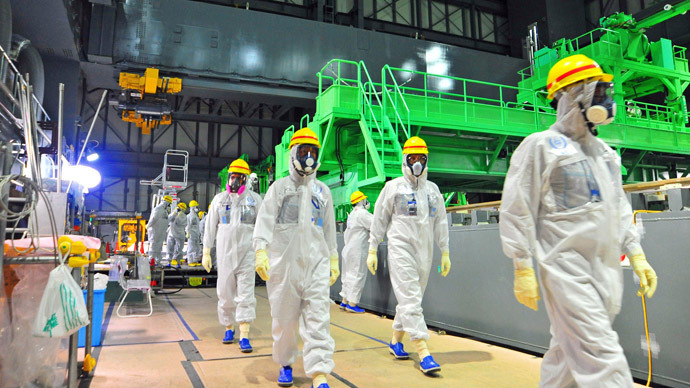 The measurements taken on Monday showed 2.4 million Bq/l, while the results taken on January 9 indicated the amount of beta rays at 2.2 million Bq/l, according to TEPCO’s Friday announcement. Strontium-90 is a radioactive isotope of strontium produced by nuclear fission with a half-life of 28.8 years. The legal standard for strontium emissions is 30 becquerels per liter. In March 2011 an earthquake triggered a tsunami that hit Japan’s coast, damaging the Fukushima Daiichi nuclear power plant. The catastrophe caused the meltdown of three nuclear reactors at the facility, leading to the worst nuclear disaster since Chernobyl. The water used to cool the reactors has been leaking into the soil and contaminating the ground water ever since. Some of the radioactive water has been escaping into the Pacific Ocean. 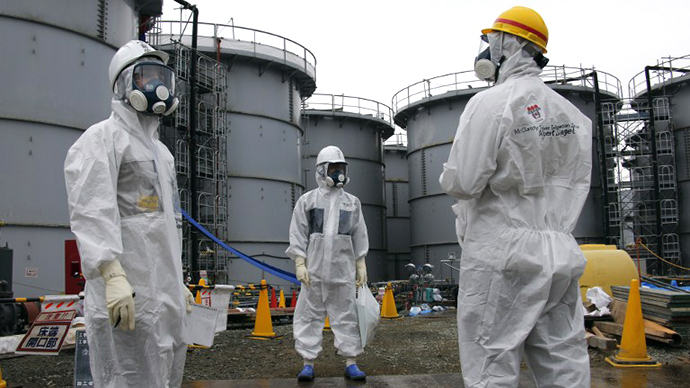 TEPCO plans solve the problem by setting up special equipment to freeze the ground around the reactors. The works which are to start this month include plunging tubes carrying a coolant liquid deep into the ground. The coolant would freeze the ground solid so that no groundwater could pass through it. While the company struggles to contain the contaminated water, TEPCO’s president has voiced the possibility of spinning off the clean-up project at the wrecked Fukushima nuclear plant from the rest of the company. This would be an option in the future if the decommissioning runs smoothly, Naomi Hirose said in an interview to Reuters on Saturday. A spin-off was also proposed by the ruling Liberal Democratic party’s committee overseeing the government bailout of TEPCO in October. Hirose noted that currently TEPCO has to work on improving the workers conditions at the plant. "Paying compensation (to evacuees), decontamination, and the work at the Fukushima plant; there is a lot of work to be done ... We have to continue doing this, while maintaining workers' safety, their sense of responsibility, duty and keeping up their morale," he said. 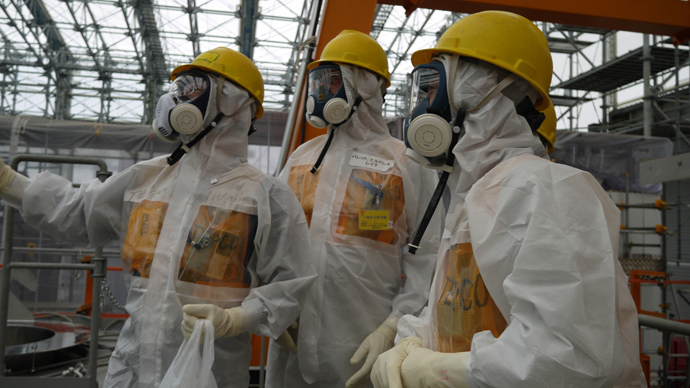 The company’s head added that he was against hiving off the Fukushima decommissioning from the rest of the business until working conditions improve significantly. On January 15 the government approved TEPCO’s plan to restart four reactors at the Kashiwazaki-Kariwa nuclear power plant, the biggest nuclear power plant in the world. The utility aims to resume operations at the plant's No. 6 and 7 reactors as early as July. The plan was met with criticism from the administration of the Niigata Prefecture, where the plant is located. The local governor has repeatedly called for the company’s liquidation. TEPCO argued that the company may have to raise electricity prices by as much as 10 percent if Kashiwazaki restart is further delayed.